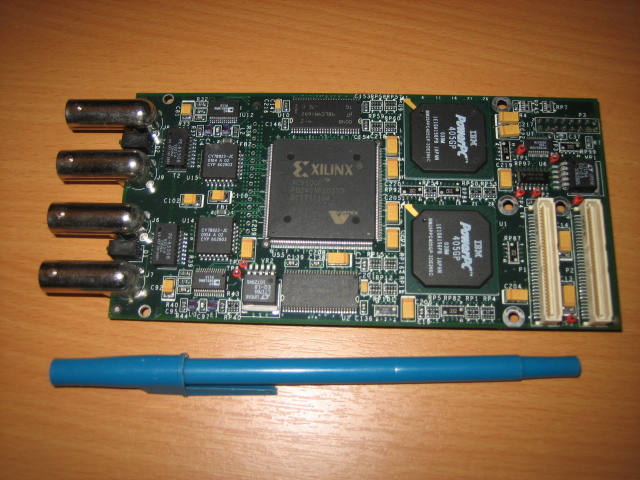 Dual PowerPC 405GP, 266 MHz, 32 MB SDRAM, Xilinx FPGA, Intel Flash BootROM, PCI Interface. I wrote the boot code, and well as all the IO and MPEG multiplexing software running in one of the CPUs. The other CPU performed the actual multiplexing decisions.